Every day, when I go teach, I feel honored to be able to share my Yoga experience and knowledge with other people. 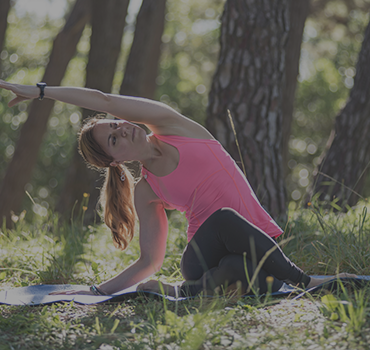 I share how Yoga has helped me better tune in and respond to my body’s needs, feeding it nourishing foods when I feel hungry, allowing it to rest when I feel tired, and giving it exercise and adventure when I feel the need to liven up my day. I have also developed more compassion toward myself which naturally seems to overflow into more compassion for others. My newfound sense of well-being I have found through my yoga practice has given me a new sense of connection as well as gratitude. Victoria takes all her students through a fascinating journey of exploration of the body-mind-spirit connection. Her thorough and step-by-step explanations, along with the perfect atmosphere to surrender yourself to your own practice, allow even the most timid and inflexible students to mindfully get into poses they didn’t even know they could do. It is a wonderful personal and collective experience. I have been going to Victoria’s classes for 6 years, her skills and sensitivity to individual needs is splendid, I have enjoyed her enthusiasm, patience and love of yoga. She makes everyone feel welcome and comfortable. Victoria’s classes have helped me to replenish my physical, and more importantly, emotional energy. I look forward to her soothing voice every week. I have been a student of Victoria for close to four years. She was working with my husband when I met her. I had developed frozen shoulder in both of them. I could not raise my arms past my elbow height. I was in pain and had a very hard time sleeping. I started working with Victoria as a last resort as nothing else was really working. Little by little I developed more range of motion. Victoria took her time with me and always had a plan of action to unfreeze my shoulders. Most importantly I trusted her. Through hard work and Victoria’s guidance I am in great shape both physically and mentally. She is truly gifted in her profession! Victoria teaches yoga with her heart, her soul, and her brain. With her extensive knowledge, humor, and compassion, she encourages her students to explore the movement and development of both body and mind. I have benefited in countless way, both physical and mental, through her teaching. She has been my Yoga Teacher for six years; I first practiced under her, I’ve tried many other classes, and I’ve never found a better teacher. As an Aikidoka (one that practices Aikido), I train to bring calm and peace amid the stress and duress of a physical attack from one or many attackers. I know that I need to remain calm during the attack and that it is my responsibility to bring my attackers mind back to a clear and peaceful state by giving them no option but to surrender without strain. Victoria’s Yoga practice does this to the attackers of our internal peaceful state, by helping us find poses that challenge us to address our egos and anxieties. What we train to do externally as Aikidoka, Victoria has dedicated decades to do internally, through Yoga. Her profound and deliberate style of teaching encourages first-timers to experts into going inside themselves, to see what holds them back, and to let it go, so that they can free their bodies and minds for whatever else life has in store! If you practice with her it is impossible to come away from her class without feeling the calm and relaxed feeling we strive for in Aikido. I encourage anyone who feels they need to learn to find a clearer mind and stronger body with the added benefit of flexibility, to come and try a class with this World Class instructor. A gentle form of Vinyasa, Slow Flow allows students to deeply experience traditional Vinyasa yoga poses. 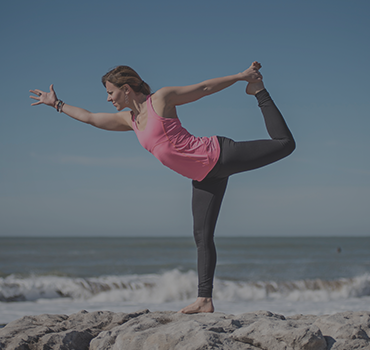 Victoria’s Slow Flow yoga focuses on opening up physical as well as mental blockages while integrating yoga discipline with contemplative breath and practice.